Anniversary Archives - OWOSSO Graphic Arts, Inc.
Ready to order? It all starts here! Metalphoto® — What Is It? Developed in 1950, Metalphoto® is a photosensitive, anodized aluminum. 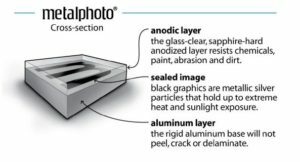 Metalphoto® is durable in even the harshest environment, because the image is sealed inside of the anodized aluminum, which provides corrosion, sunlight, abrasion, temperature and chemical resistance. Common uses for Metalphoto® include equipment nameplates, barcode labels, control panels, plaques & awards and architectural signage. It can also be used for Keepsakes to commemorate life’s milestones…weddings, anniversaries, graduations, births and deaths. Clubs and organizations can capture the essence of a community working together with plaques for gardens, benches, playground equipment and more. Click here for more information on Metalphoto® from OWOSSO. OWOSSO recently made a replacement Metalphoto® plaque for the Shiawassee River Heritage Bridge and it was recently installed. Thousands of people will walk across this bridge during the annual Curwood Festival which is June 1-4 in 2017. The entire city invites you to join us to “Rock the Red” for the 40th Anniversary of the festival! 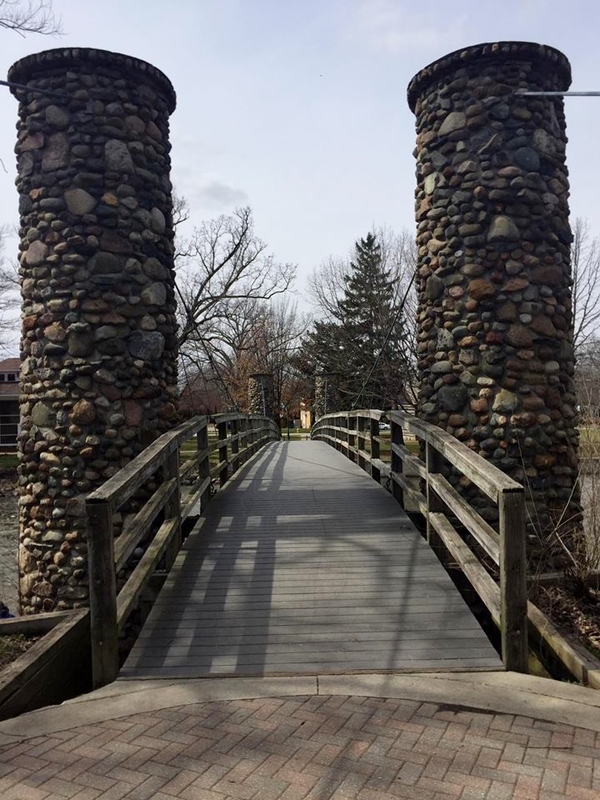 Dedicated in 1984, the Heritage Bridge links Curwood Castle Park to the James Miner Riverwalk. 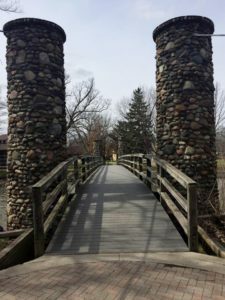 This is a beautiful, winding trail along the Shiawassee River that connects the towns of Owosso and Corunna. Contact OWOSSO to speak with one of our Customer Service Specialists. Want the latest updates from OWOSSO? All Contents & Materials © copyright 2019 OWOSSO Graphic Arts, Inc.